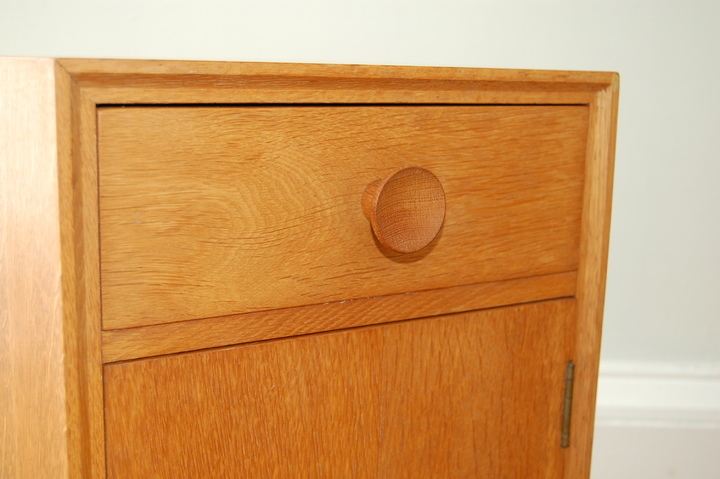 single, oak(?) 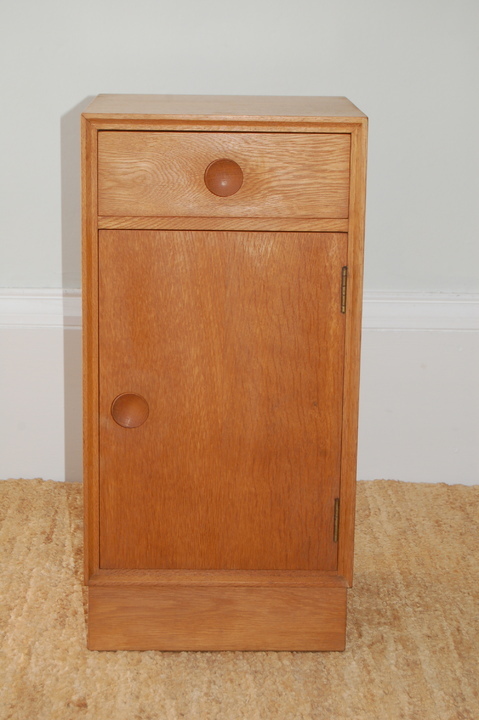 bedside cabinet by Meredew - drawer and cupboard (door hinged right) with single shelf. 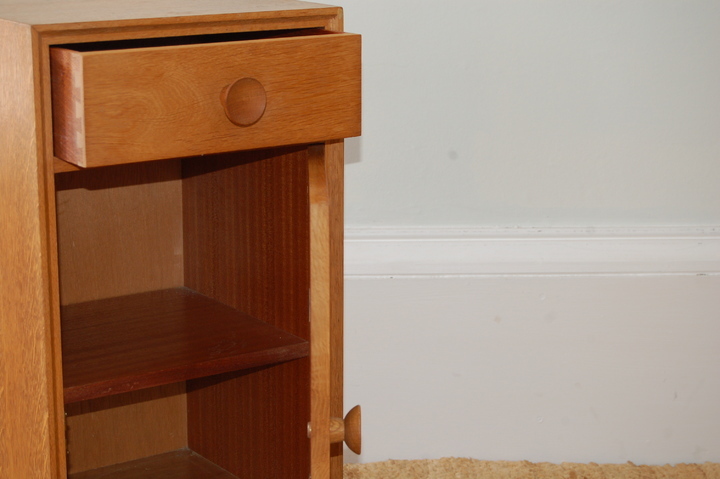 Simple and elegant, in good condition commensurate with age. 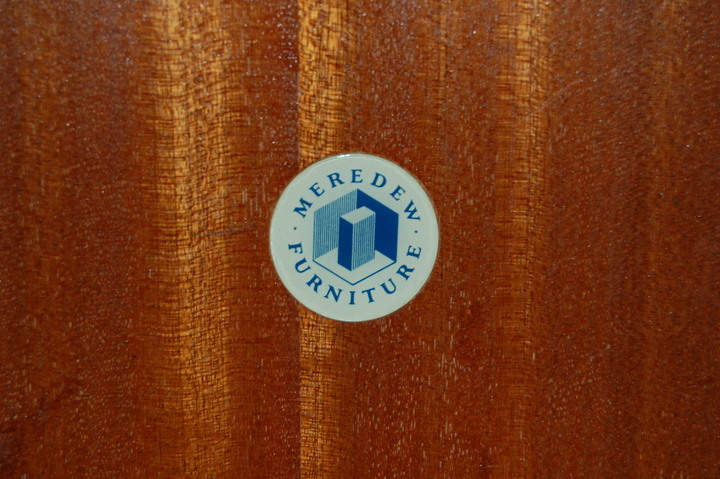 Original Meredew 'button' on inside door.